Xiaomi recently revamped its fitness devices portfolio with the launch of an updated Mi Band in China alongside the Mi 8 and Mi 8 SE. After a long wait, Xiaomi is finally bringing the Mi Band 3 to India as part of its “Smarter Living” range of smart products. 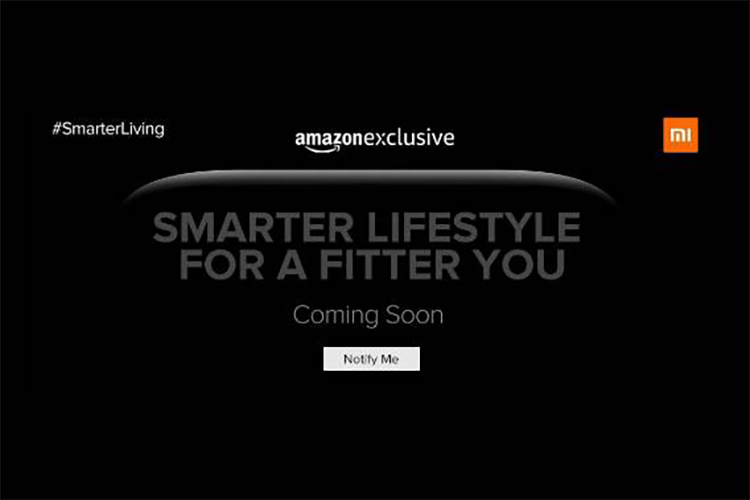 While this launch is set to take place on September 27, the teaser page for Mi Band 3 is already online on Amazon India. Although the page does not name the Mi Band 3, the graphics and the text easily point towards it. This series of teaser pages touts that the highly anticipated fitness band will track more data with higher accuracy, which will help you achieve a fitter and “smarter lifestyle“. Other teasers also point at a bigger display and a better battery back-up which you can confirm in this comparison between the Mi Band 3 and Band 2. The latest Mi Band has a 0.78-inch OLED display which now responds to touches all over, instead of just the touch-sensitive area in the earlier generation. Besides these teases, the page on Amazon does not reveal any information about the pricing and availability of the Mi Band 3. Xiaomi is known to offer products at striking prices and Mi Band 3 should also follow the trend. While the direct conversion from its price in China (169 yuan) comes out to almost Rs 1,800 so we expect the fitness band to be priced below Rs 2,500. There’s another variant which comes with NFC to facilitate payments via Alipay but since tap-to-pay is still not as famous in India, Xiaomi might omit it here. Just in case it doesn’t, the Mi Band 3 with NFC is priced at 199 yuan or Rs 2,100. The Mi Band 2 had been a successful and praised product in India and now that it’s getting better, we expect an even better response for the Mi Band 3. In case you’re in the process of making up your mind, our video review of a Chinese unit will help you decide better.